Travelodge York Central invited us to enjoy a weekend break in one of their new family rooms recently. York is a place I have been before, for a night out, but not somewhere I have really explored so we were definitely up for it. We hadn’t long returned from our visit to Travelodge Liverpool Central, so it was going to be interesting for us comparing the two hotel experiences. The Travelodge York Central Hotel does not provide it’s own parking, but there is a Q-Park car park nearby. Travelodge provide a discount voucher if you use this car park, and it’s well worth doing. We saved £6. We used the post code provided on the Travelodge York Central Hotel website, and used sat nav for directions. The parking information tells you the car park is on Kent Street. We drove around in circles a few times before we figured out that Kent Street is in two parts. The car park for access to Travelodge York Central is on the right of Fawcett Street, behind the Barbican. Sat nav thinks it is on the left side of the street. We noticed a few people were stopping to ask for directions. The car park is very close to Travelodge York Central, and we had no problems walking with two children and the suitcases and bags to get to the hotel. The staff were friendly and welcoming at Travelodge York Central, and gave us lots of useful information. I had to dash with the 3 year old into the toilets next door at Wetherspoons, while Daddy sorted out our check in. The staff showed a keen interest in what we were going to be doing over the weekend, and pointed out the different locations in the tour guide they gave us. 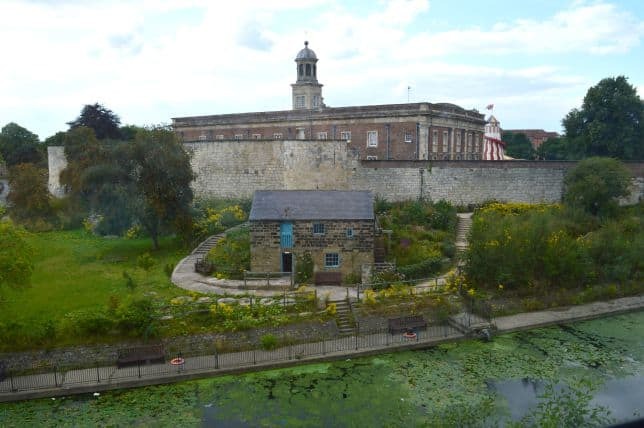 It was helpful to know that all of York’s attractions were in walking distance, especially with a small family in tow. It was a smooth and simple process to check in, and we were made very welcome throughout the whole of our stay at Travelodge York Central Hotel. There were no issues with our room at Travelodge York Central Hotel at all. It was ready with a king size bed, and two single beds as we had requested. There were plenty of towels for us, and the room was lovely and clean too. Tea and coffee making facilities were provided, along with plastic drinking cups, which became an impromptu bath toy for the girls to play with in the evening. The TV reception was good, but the selection of channels is limited. You get a good amount of space in a family room for storing suitcases, bags and clothes. There was even a place for us to tuck the pushchair out of the way so it wasn’t blocking the door or exit. All the beds are super comfy. We all had a great night’s sleep, even though the 1 year old was teething. She did have a few grumpy moments, so if you were in the room next to us, I’m really sorry about the crying! Travelodge York Central provide a wifi service, and you can use 1/2 hour, every 24 hours for free. If you need more you can purchase a voucher code, or alternatively, pop next door into Wetherspoons where you can access wifi for free. We didn’t get much noise at all in the hotel. We were overlooking the river and a beautiful historic house and garden. It was a beautiful view. The main road was adjacent to this but really didn’t disturb us. There was no issues from the Wetherspoons pub next door either. Our room at Travelodge York Central, was on the warm side as it was a sunny weekend in August, but it wasn’t unbearable. There is no air conditioning, but the hotel does provide a desk fan to use to bring the temperature down. We found that we didn’t need to use it during our stay at the hotel. Travelodge York Central doesn’t provide a cooked or buffet breakfast. They do provide a takeaway breakfast, with muffins, juice, and cereal bars in though. We did use the breakfast boxes for snacks for the girls during the day, but we went to Wetherspoons for our main breakfast. The Wetherspoons opens at 7am each morning, and I enjoyed a cooked breakfast and refillable filter coffee for less than £4. The girls were happy with porridge and toast, and Daddy is never one to say no to a cooked breakfast even though he joined us a little later. We were able to sit next to the river, and enjoy a lovely family breakfast here, for a really reasonable price. It was a really good start to the day’s sightseeing around York. The Travelodge York Central hotel is in the perfect location for visiting York for the weekend. We were next door to part of York’s City Walls and the historic Clifford’s Tower. We explored the majority of York from this location, with a 3 year old and a 1 year old in a pushchair. Everything is really accessible. As city’s go, York is quite small, and therefore easy to explore on foot. It’s the best way to see it’s historic sights and enjoy the quaint British atmosphere. 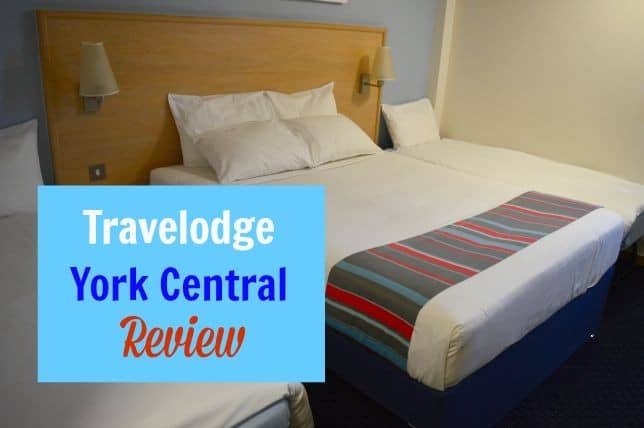 We really enjoyed our stay in the Travelodge York Central and I’d really recommend this hotel as a good value option to anyone visiting the city. York is a very tourist driven city, and as a result can be quite an expensive place to visit. Lots of tourists pass through York every year, from all over the world because of it’s historic significance. 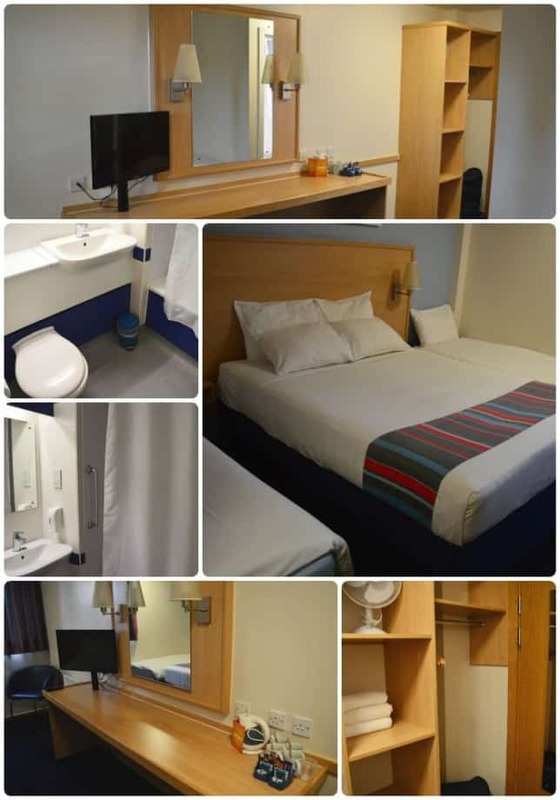 If you are visiting York for a holiday or short break, you will enjoy a comfortable stay at the York Travelodge Central at a reasonable price whilst being able to enjoy the rest of what this beautiful city has to offer. We were provided with a complimentary 2 night stay at Travelodge York Central in exchange for this post, but all thoughts and opinions are my own. It sounds like a fab place to stay….Really handy for visiting the city! Since we have two children as well I find Travelodge hotels brilliant places to stay in. We’ve often passed this Travelodge travelling into York but we have never stayed there. Sounds like a fab place to stay. I love York! I grew up in York so have more than a passing soft spot for the place. Such a beautiful city!